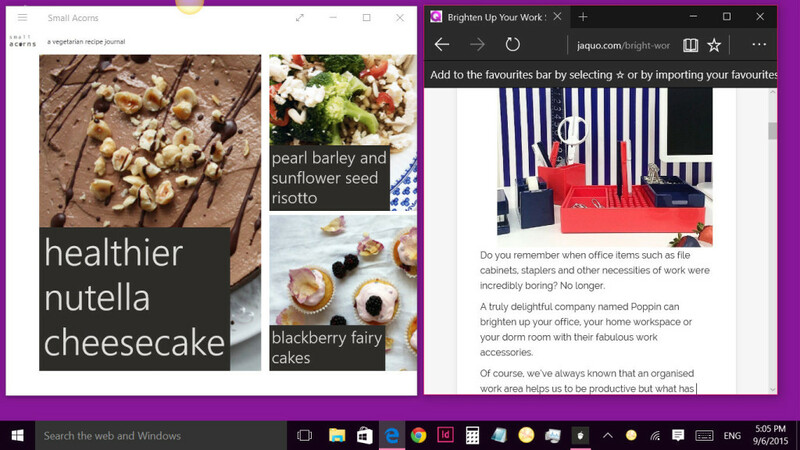 Taking screenshots is now quicker and easier with Windows 10. I can’t remember when the ‘PrtSc’ key first appeared on our keyboards but I never found it satisfactory, did you? The problem was that there was no audible beep or any popup to tell you that your screenshot had been taken.And it wasn’t really plain where that screenshot had gone. 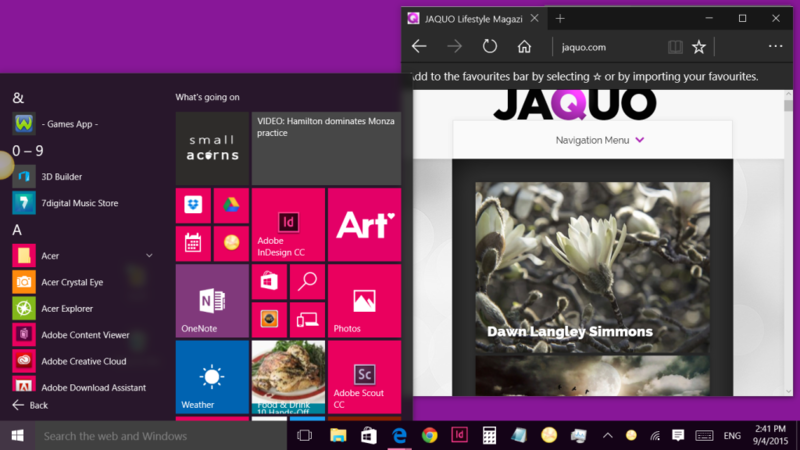 Windows 10 makes life much easier. You’ll still use the ‘PrtSc’ button but now you’ll use it in conjunction with the Windows button. Just press the two keys at the same time. You’ll notice then the screen darkens temporarily – that’s to let you know that your screenshot has been taken. Here’s an example of a screenshot of one of my virtual desktops. Windows has, logically, saved your screenshots in your photographs app. How do you locate it? Easy. Click on the Windows symbol at the bottom left of your screen. 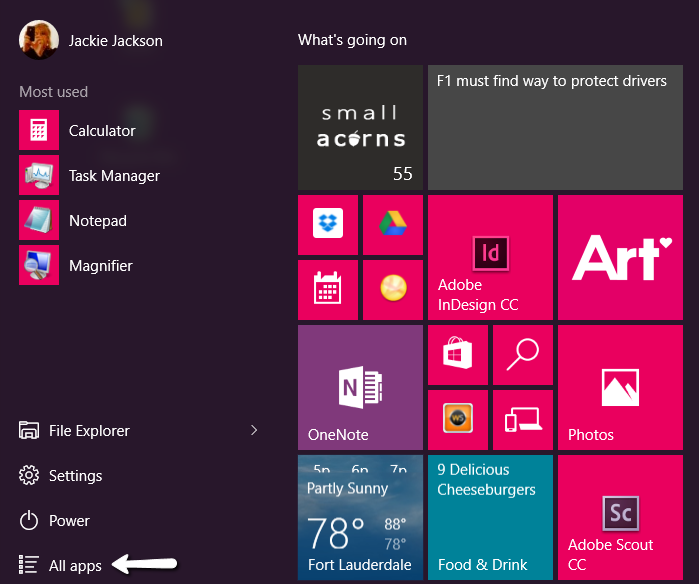 Your start screen will appear – as shown below. You’ll see that my photograph are in the right hand column. Simply click on that to find your screenshots. If you don’t see it, click on the ‘all apps’ links. That’s it at the bottom on the left. This will show all your apps in alphabetical order so all you have to do is scroll down to find your photos app – simple.